A buret clamp is attached to a lab stand to gently hold items such as small beakers, test tubes, and burets. 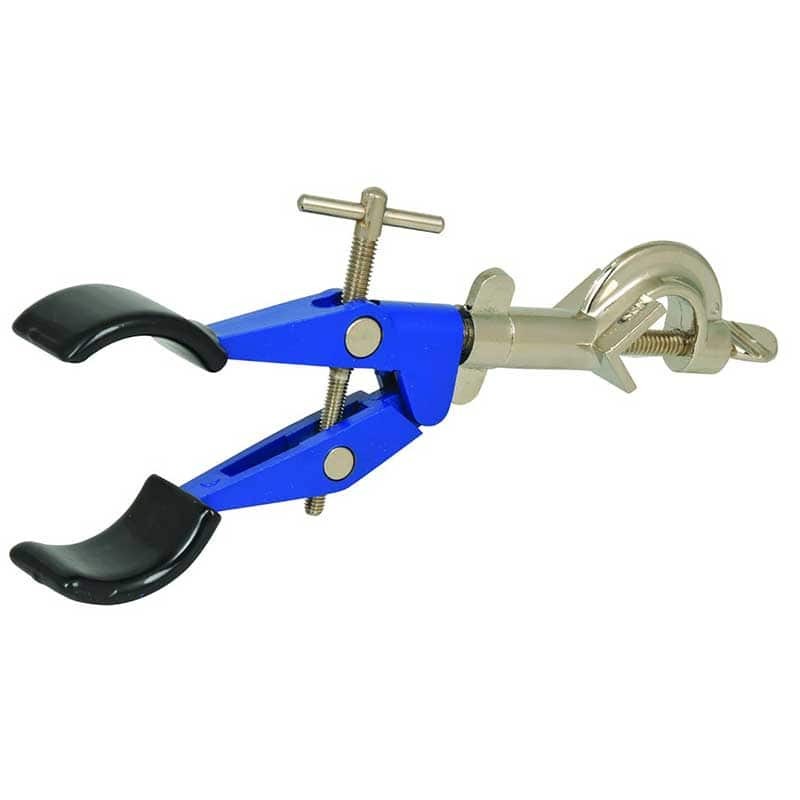 This powder coated clamp is 9-1/2 inches long with vinyl coated jaws and can be rotated 360° and locked at any angle. Clamp jaws open 1/2” (12.7mm) to 4-3/4” (120mm). 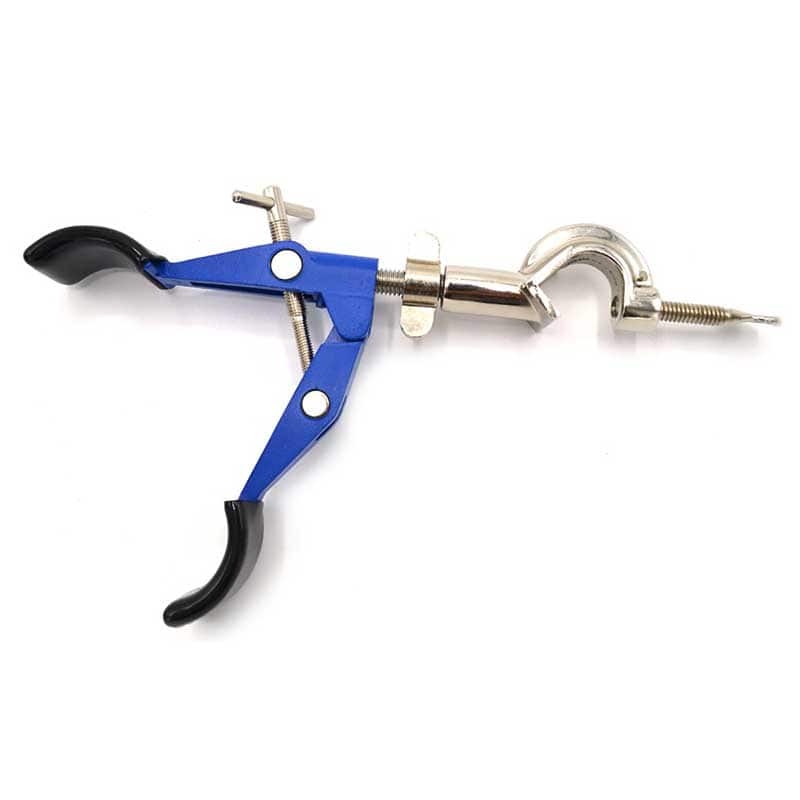 The screw adjustment allows for precise pressure when gripping glass objects, to avoid potential breakage. And the prongs are coated in vinyl for higher temperature applications. Clamp constructed of powder coated high grade zinc alloy. Two vinyl coated clamp prongs attached to swivel bosshead. 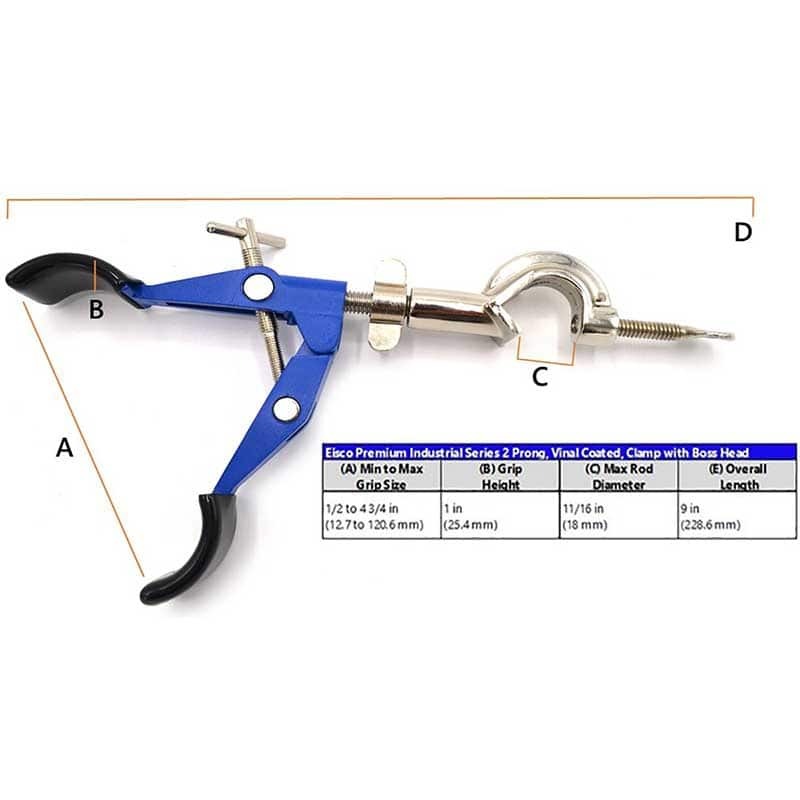 Maximum clamp opening is 11 cm. Swivel between Clamp and Bosshead. 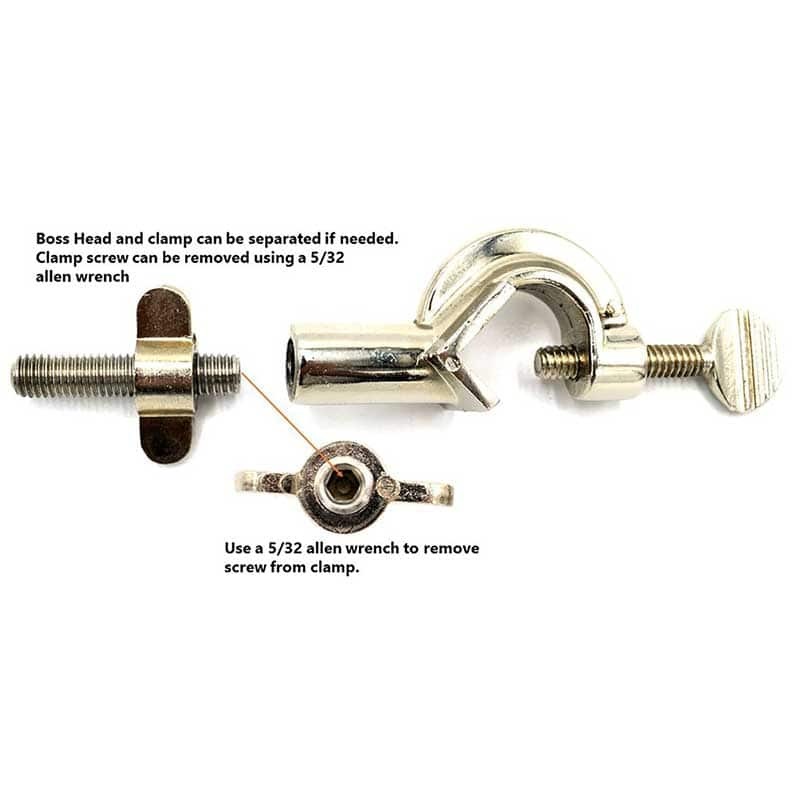 Boss accommodates to 18 mm rod. Body Composition: Made of zinc and powder coated alloy with metal adjustment screw. Extension Rod Composition: Stainless Steel.